Hello! 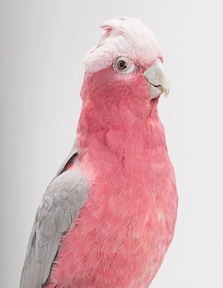 my name is Pinky the Parrot. I am a feather-brained progressive communitarian virtue-signaling social justice warrior. I repeat everything the globalist media says about President Trump, because he made a lot of money and I hate money because I don't have any. And he doesn't believe in global warming so he's obviously insane. Too much air will fry the planet and kill us all! Air is everywhere and HE WILL NOT TAX OR RESTRICT IT! Now who will stop its prolifeatheration?! And oil power is very bad, except for Al & Leo's private planes, navy subs that spy on Evil Russians and my plastic squeak toys. And what about the cow farts?! We have to make a SACRIFICE for Gaia, like the windmills that keep beheading my friends and bring us closer to our Muslim brothers. BWRAAAAK!